Comment: I have an existing Lennox HVAC system with a refrigerant leak in the indoor coil (cx34-30b-6f-2). The replacement part for the coil is under parts warranty, but the initial quote for the work by the installation company was outrageously high and weâre looking for competitive quotes from a licensed Lennox HVAC company who can process the warranty for the part and do the labor for a reasonable price. Comment: We have a Sanyo mini-split HVAC unit that has stopped working. We had some siding work done, and at that point the system stopped working. Can't be sure if that is coincidental or not. Comment: I need the HVAC lines and pans cleaned out, with a certificate to prove I have done so. Comment: The coil within the inside unit is rusting and needs to be replaced. The unit is a carrier model number CNPV4221ATAACAA. Falls Church HVAC & Air Conditioning Contractors are rated 4.70 out of 5 based on 2,537 reviews of 43 pros. 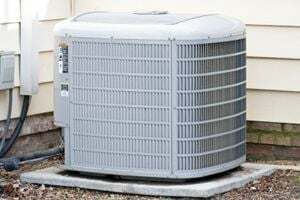 Not Looking for Air Conditioning Contractors in Falls Church, VA?